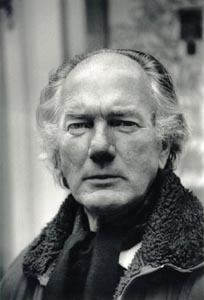 Like Kafka, Thomas Bernhard, the novelist, playwright and poet, died young. At this end of the century, 58 is young. He had been tubercular since his teens, so it was no great surprise. Indeed, we are to be grateful for his tendency to illness. It was TB, he tells us in his remarkable autobiography, that took him to writing. In a sanatorium – lungs drowning in sputum, aged 19 and expected to die – he began to write. He believed it might have cured him too. I remember seeing an obituary following his death on 12th February 1989. At that time I had not read any of his works. Just another novelist I assumed, and did not read the obituary. In the summer of the following year I found a copy of the novel Concrete in the magnificent Quartet Encounters imprint. I shall always associate that book with a park in an otherwise squalid English city. It is a short enough to be read in one place. And I have read it in many more places since. Certainly it has death written through it, but it cures too, almost. The rest of this will try to explain why. Like Kafka’s, Bernhard’s writing is easily caricatured. This is one of the main problems in the reception of the best literature in this country. I have seen an advert for Czech beer labelling Kafka ‘the monarch of mirthlessness’, which told me that the copywriter knows nothing of Kafka, and probably not of beer also. Anyone who has read his work can testify there is something oddly funny about it; A Country Doctor will have you in stitches. Yet Kafka remains a byword for depressive reading. The French philosopher Gilles Deleuze, however, called him ‘a man of joy’. The thing is, you have to be patient; he’s not Bill Bryson. Though Bernhard has written comedically, notably in the helpfully sub-titled Old Masters: a comedy, he too is presented as one of those miserable Germans who can’t accept that life is actually wonderful. This is so wrong: he was Austrian. Generally, we British assume you have be one thing or the other. You’re either funny and disposable or serious and difficult. I guess it’s partly to do with the satanic rule of marketing strategies protecting niche identity and such like, but certainly the culture cannot accept the way literature acts in us, rather than just upon us. We assume it to be a pleasant distraction against a pre-defined reality. In a way, this is inevitable. What goes on in our heads daily, hourly, minutely, gets into writing only through distancing. Writing something down provides a displacement from the anxiety, the boredom or the confusion of the moment. We want our minds like the thing written down. It is easy to have this done for you. Responding to a growing appetite for distraction, shorthand journalistic cliché has infested our inner lives. Generally, it means we are unable to have respect for uniqueness of experience because it is summed up, packaged, placed in a captionable context. Soon this context demands total obedience; nothing else is relevant. The private self is subsumed, and we assume we have to give unquestioning respect to the two-dimensional conceits of ‘ambitious’ fiction covering the ground of journalists and historians (Don Delillo and Tom Wolfe being the current examples). The alternative, where it is assumed the self gets full exposure without the interference of common language, tends to mean the stream-of-consciousness mode of writing. Take Harold Brodkey’s long-delayed, much-hyped novel The Runaway Soul; an 800 page Bildungsroman made up of dribbling ‘poetic’ language, supposedly reminiscent of Molly Bloom’s soliloquy and Proust’s great work of intellect and intimacy. Being neither, it still came to the fore because it was the opposite of the other kind of Great American Novel. It suited the demand that you’re one thing or the other: inner or outer. Yet the technique of simulating intimacy reeked of that alone: technique. Luckily, this novel has now been sidelined as an embarrassment. Meanwhile, Realism, whether in historical sweep or intimate acquaintance with an individual, prefers that such excessive literary adventures are limited to unserious postmodernists. No one should claim they challenge its intimacy with life. Raymond Carver exemplifies its naive arrogance in his essay on writing fiction, collected in Fires. One of his maxims, he announced, was ‘No tricks’. He had this printed on a piece of cardboard stuck above his writing desk. Yet Carver’s highly-influential ‘dirty realism’ is one big trick. This is elided by calling it a ‘craft’, but craftsmanship is also trickery institutionalised. His innocence of this is typical of working-class sentimentality. Perhaps he never completed a novel because such trickery revealed itself over greater length. Carver’s achievement was special, but flawed. It is a literary equivalent of the self replicating its DNA with serial partners; never mind the consequences. When Larkin mordantly quipped ‘Don’t have any kids yourself’, it was as much to do with poems as with children. The problem is, what goes on in our heads is also literature, in the sense that consciousness is already distance. Any privileging of inside or outside means a fundamental distortion. It means there is no simple access through writing to what we want to write about. When know-nothings like the BBC’s arts guru Mark Lawson complains of writers writing about writers, he misses this fundamental issue. The so-called self-reflexive novel is more likely to get closer to the truth than those effacing the conceit. This is why dominant forms of fiction, and the journalistic definition of literature’s relation to the world, needs to be set aside in favour of a mediation between the world and the writer; an infinite mediation. Like Bernhard’s. Ironically (as journalists are so keen to say in order to assert their distant control) Bernhard began his career as a journalist. After giving up his music studies because of illness, he wrote short, precise summaries of pending court cases for a local Socialist newspaper. He developed a talent, and an offshoot can be seen in the extremely odd book The Voice Imitator: 104 stories in 104 pages. The musical background continued in his early preference for poetry, but this soon merged with the prose to produce novels. The mixing of opposites might be seen as peculiar to Bernhard’s biographical details: harsh reality with musical polyphony. There are other details about his childhood even before the illness that are just to depressing to repeat. For these, see his autobiography collected as Gathering Evidence. It goes on like this for 241 pages. You see how multiple perspectives are given, without any privileging of any one in particular. The manic behaviour of Konrad, as reported, is equalled by the persistence of the investigation. As it details Konrad’s perceived descent into madness and murder, it threatens the same for the investigator. Thus the distant narration is implicated in what it perceives. Objectivity, of course, is never immune. It can never reach its object directly. This is made clearer in Bernhard’s later novels because they tend to play with very few voices. Yet despite being powerfully subjective, they transcend mere egotism transferred to the page (go to the Realists for that). Realism’s need for the suspension of disbelief is not an issue here: we are swept along by the narcotic prose. Yet we are also displaced by what it tells us or what it doesn’t tell us. Escapism isn’t possible in the usual sense. It means there is always an uneasy edge to the pleasure of reading. What Creative Writing manual would pass this excessive, uncompromising, monological prose? And there are another 334 and a half pages like this! One may ask what’s in it for the reader – I mean, you’re not going to learn anything about the world by reading this, are you? Well, you might learn how much you need to fill your own gaping void by reading. Yet for all the impression of suffocation this gives, there is a clear musical rhythm to the prose. It does intoxicate; a popular form of escape, yes, but not abused by Bernhard. His form of prose weakens the need to choose between utilitarian language or lyric indulgence. 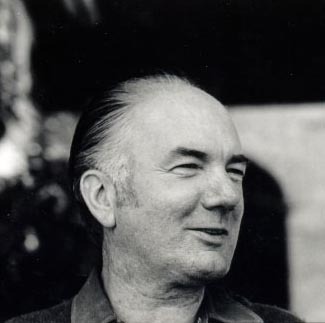 Bernhard said that his prose rhythm owed a lot to music. Indeed, he uses the life of a musician for the overall theme of one of his best novels Der Untergeher. (Literally this translates as ‘The Undergoer’, but this is ridiculous and has been translated as The Loser. Unfortunately this loses the allusion to Nietzsche – “Have you suffered for knowledge’s sake?” – that is, gone under). The book reads like a prose version of Bach’s Goldberg Variations. And Bernhard uses the real figure of Bach’s greatest interpreter Glenn Gould – ‘the most important piano virtuoso of the century’ – and the philosopher Ludwig Wittgenstein (although neither is by any means identical to the real person) to illuminate the life of the writer; the Bernhardian kind of writer. In the story, the Canadian Gould is a friend of Wertheimer, the Wittgenstein figure, and the unnamed narrator. The latter two, we are told, were themselves exceptional pianists but after hearing Gould’s unearthly genius at work, they give up hope. They could never attain his ‘inhuman state’. In response, Wertheimer auctioned off his piano, took up the ‘human sciences’ and then gave up entirely. He committed suicide, leaving philosophical notes rather than a complete work. Gould is also dead, but naturally; of a lung disease (in reality, he died of a stroke) . This leaves the narrator alone. He tries to write a monograph About Glenn Gould but instead writes what we’re reading. It is pointed out in the Afterword to the English edition that the three main characters can be summarised as a triple-separation of Bernhard himself: he is at once Gould the virtuoso artiste, Wertheimer the suicide, a self-styled failure gone under; and the unnamed narrator. In real life, Bernhard was a virtuoso, of course, and perhaps also a suicide. The last state, being unnamed is therefore appropriate. His living self mediates between the extremes of Gould and Wertheimer – inhumanity and death – both perhaps preferable. The unnamed one is unable to go under in art or suicide, forced to remain, like everyone else, in the usual human situation. Unless, that is, you count his default project, The Loser, as a virtuoso work of art – which I do. In which case, the unnamed one goes on, elsewhere, not in this book, unto death.